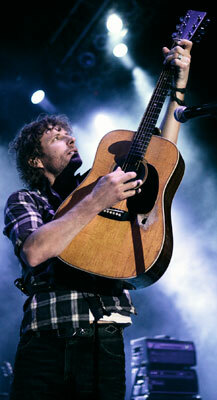 Country music star Dierks Bentley has been tapped as a headliner for the 2012 Taste of Chicago festival. Bentley, along with Lindi Ortega, are marked as headliners for the 3,000-seat pavilion at the Petrillo Music Shell, located within Grant Park. on Sunday, July 15, 2012. Entrance to the annual lakefront festival remains free, but for the first time in the festival’s history, the City of Chicago will charge a $25 per-seat fee for those who prefer a pavilion seat. ← Help us produce our summer guide!